Week Sixty Five and what a week this has been! My chief taster has not been well and had to spend some time in hospital and although this cake was made, not all of it got eaten in the rush of all that happened last week! I chose the lemon yoghurt cake from Mary Berry’s Baking Bible as I thought it sounded quite interesting and was a bit of a change. You need 2 mixing bowls for this as you beat the sugar, butter and egg yolks together, add the lemon and yogurt and beat until smooth. Then fold in the flour. In the other bowl, whisk the egg whites until they form soft peaks and fold into the main cake mix. 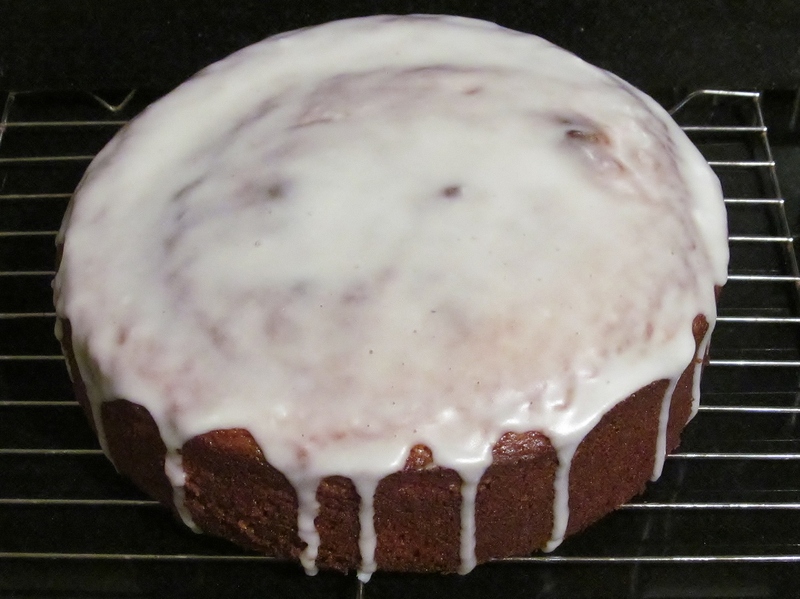 Pour into the tin and ……bake! The cake took about an hour and a quarter to bake and then once cool, Mary asks you to mix some icing sugar with some lemon juice and spread over the top. This cake is best kept in a tin in the fridge. I found it quite a dense cake and you didn’t want too much. I thoroughly enjoyed watching the Sport Relief Bake Off episodes and mostly managed to predict who the winning celebrity would be each time! I made my donation, there is still time for you to make yours- go on, you know you want to! 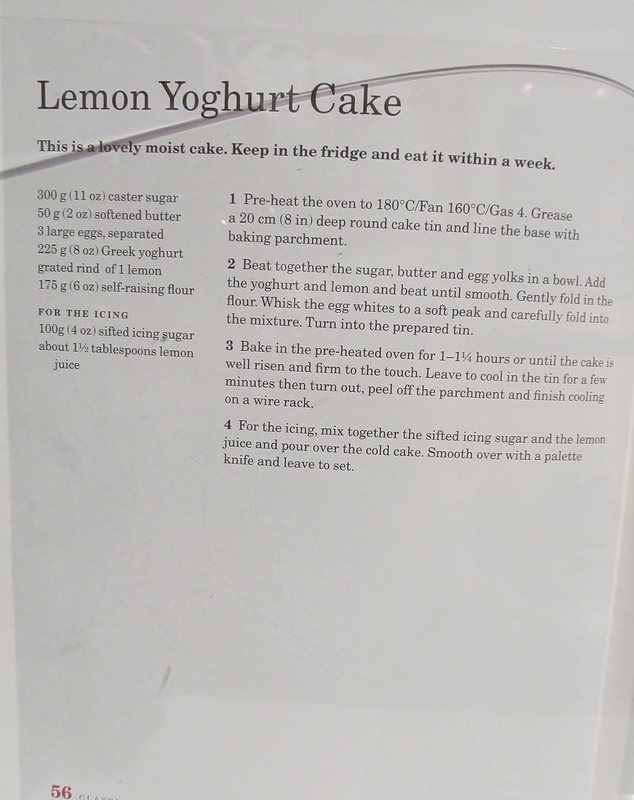 This entry was posted in Kim's cake challenge, Uncategorized and tagged Baking Bible, Great Sports Relief Bake Off, Kim's Lemon Yoghurt Cake, lemon, lemon yoghurt cake, Mary Berry, Mary Berry's Lemon Yoghurt Cake, yoghurt by kimsideas. Bookmark the permalink.